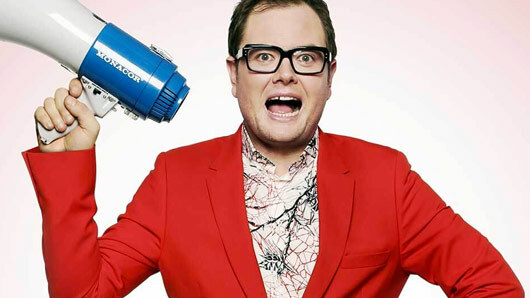 Alan Carr will host a new Christmas quiz show for Channel 4. The new series will be titled The Twelve Stars of Christmas and will air in the days before December 25, sort of like a television advent calendar. Each episode will feature three celebrity guests who take it in turn to win prizes for members of the audience by correctly answering topical events about 2016. The news comes after Alan Carr’s popular C4 talkshow Chatty Man was reported to be taking a break following a dip in ratings. Nevertheless, Carr has already been lined up to host a new show called Happy Hour, a new format which will include games, celebrities and live music. A source said: “This is huge news for Alan – he’s getting a major new show. Chatty Man isn’t being axed and could still come back, but this is a new show that everyone is excited about to set Alan up for the future. “It’s going to be on much earlier at night to introduce him to a new audience, so there won’t be any drinking with guests.